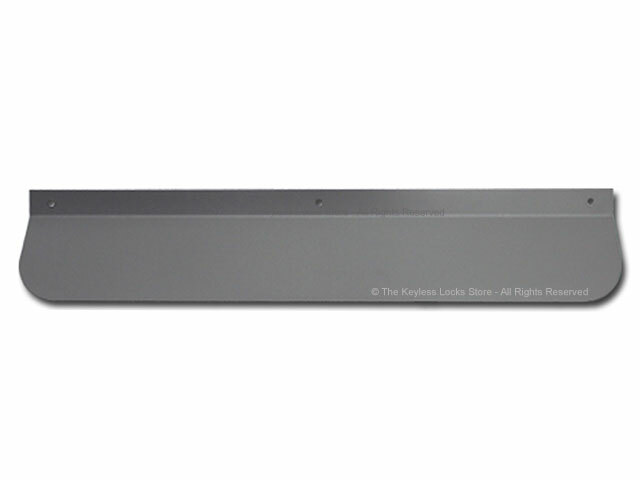 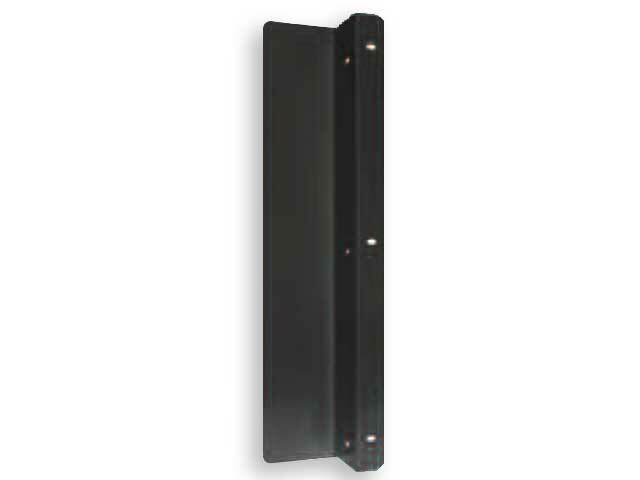 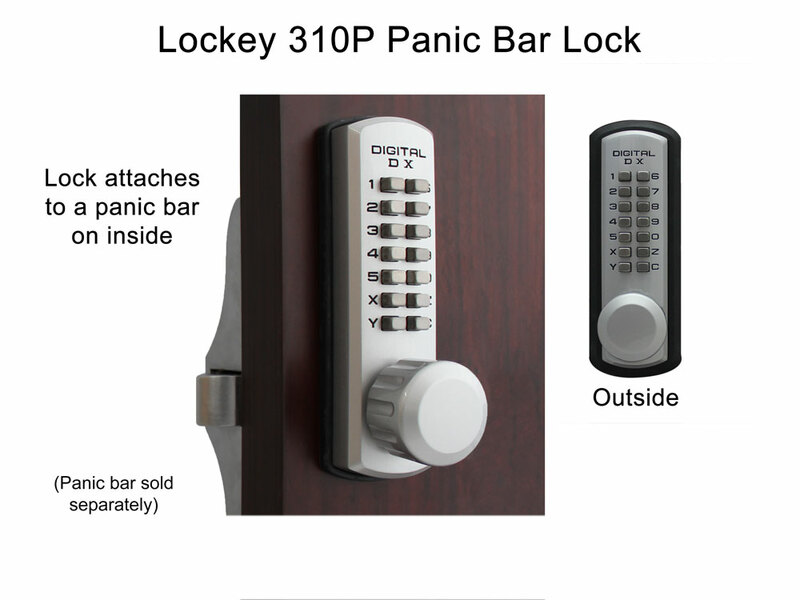 The Lockey 310P Marine-Grade Panic-Bar Keypad Lock (aka 3210P) is designed to work with a standard horizontal style panic bar on doors that are either right handed or left handed. 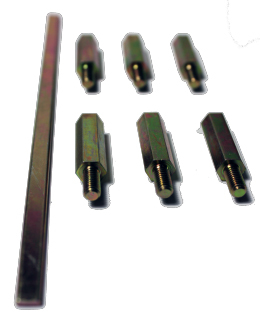 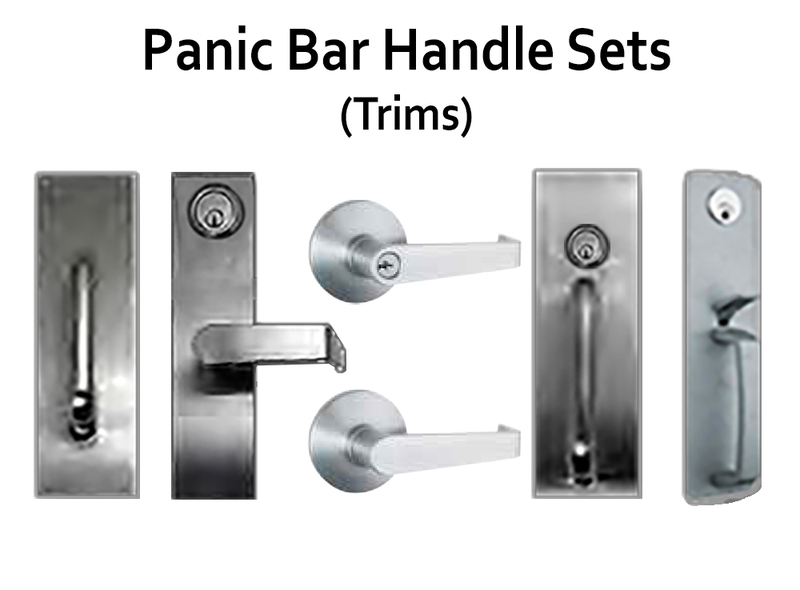 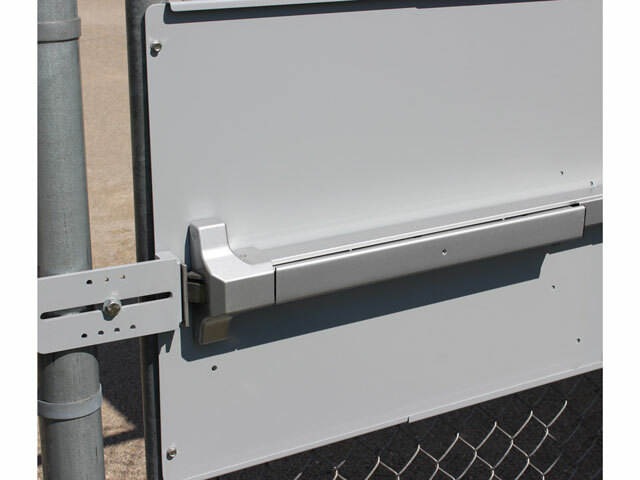 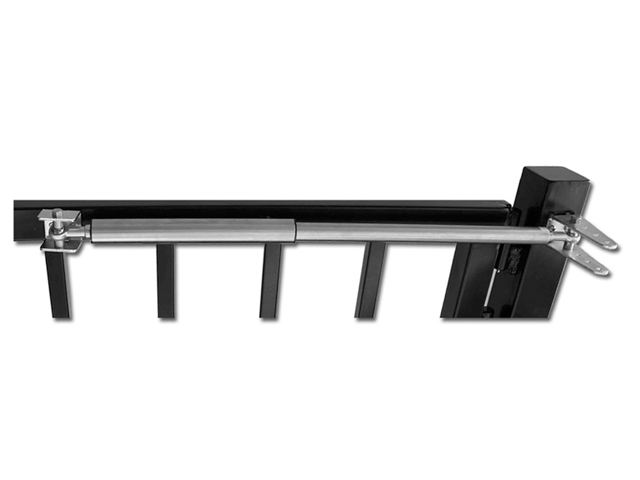 The panic bar must have a flat tail piece and a 90 degree or less turn radius. 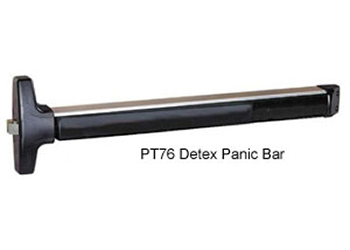 This emergency door lock takes the place of the key cylinder of the panic bar. 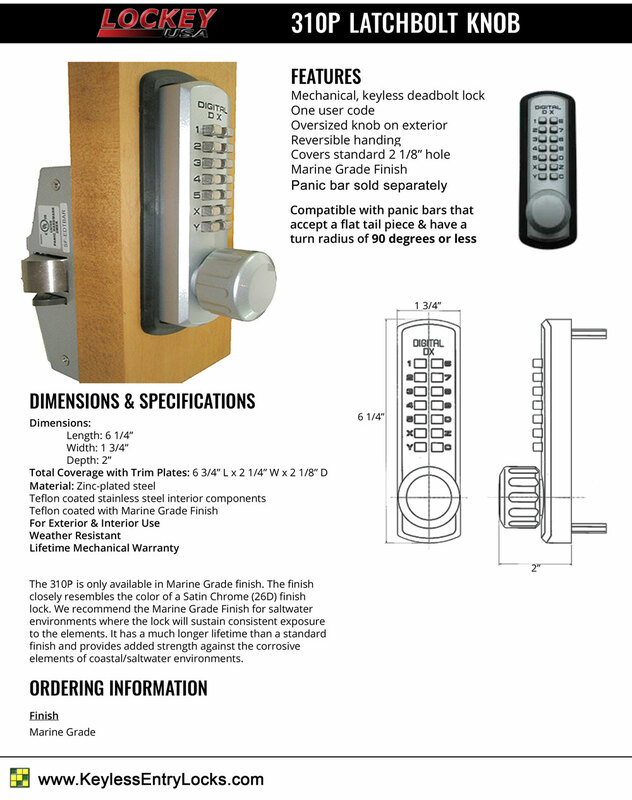 Resilient marine-grade finish—designed for salt water conditions. 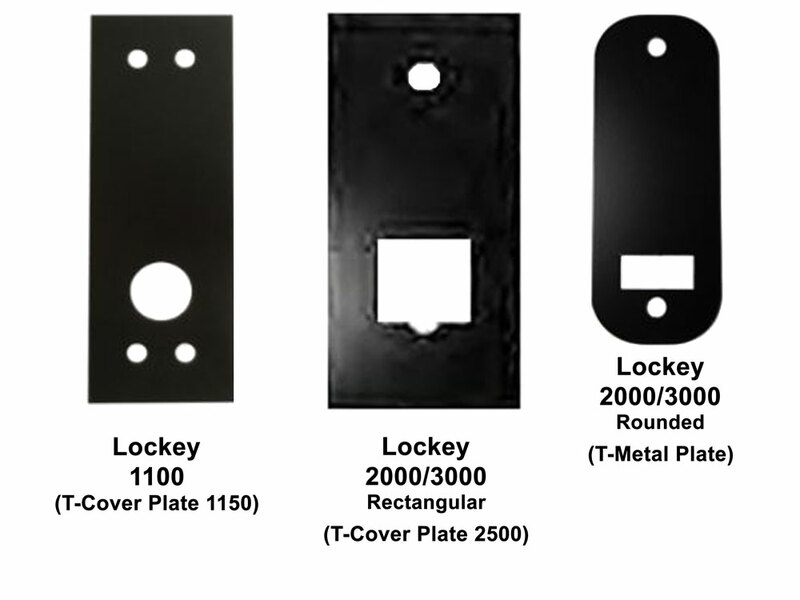 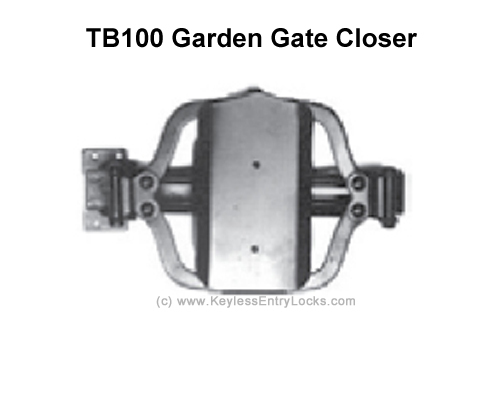 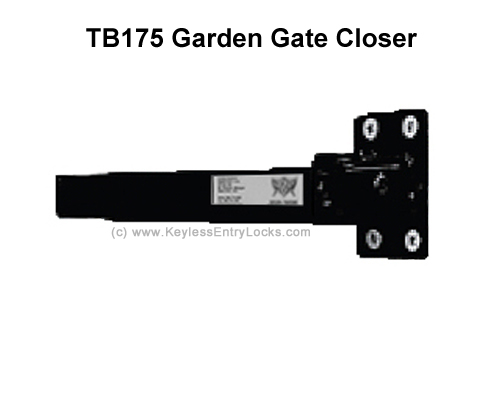 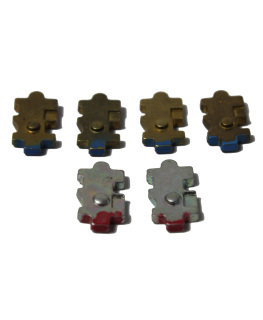 Is compatible with both LockeyUSA and Detex brand panic bars or any other brand with a flat tailpiece and a key cylinder with a turn radius of 90 degrees or less. 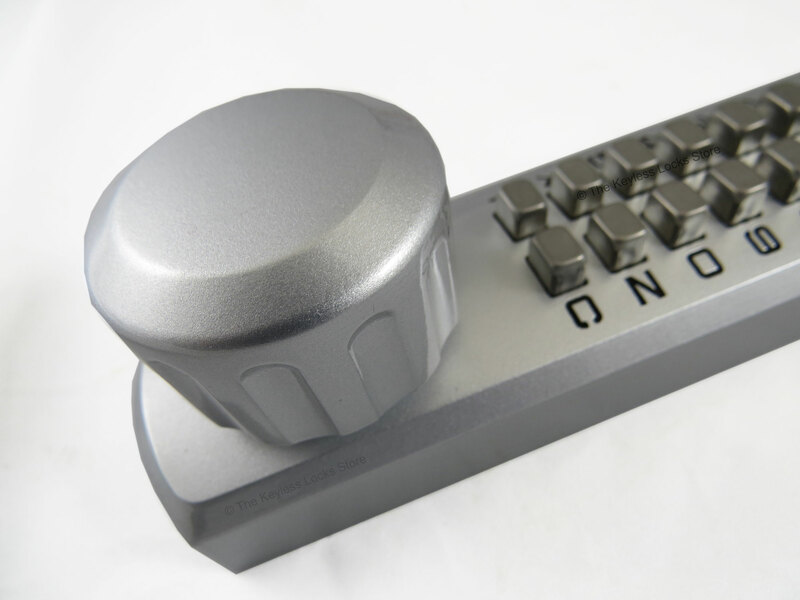 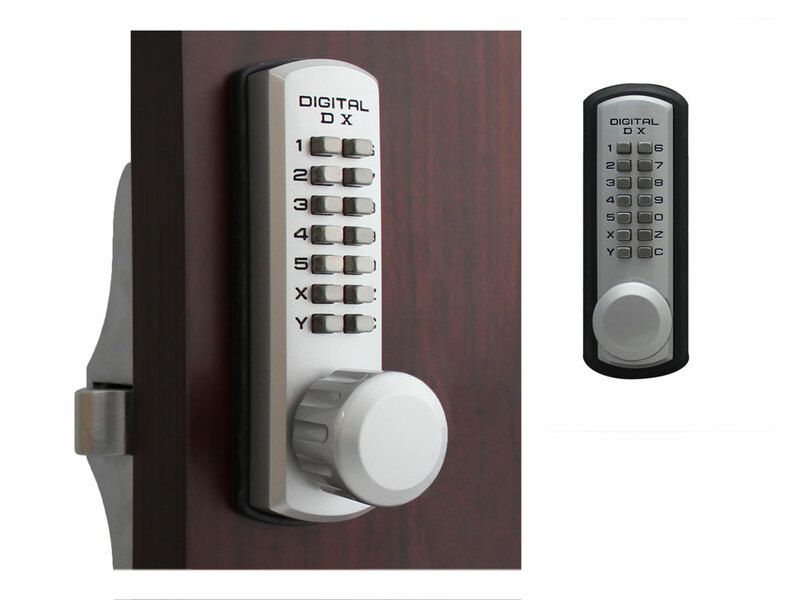 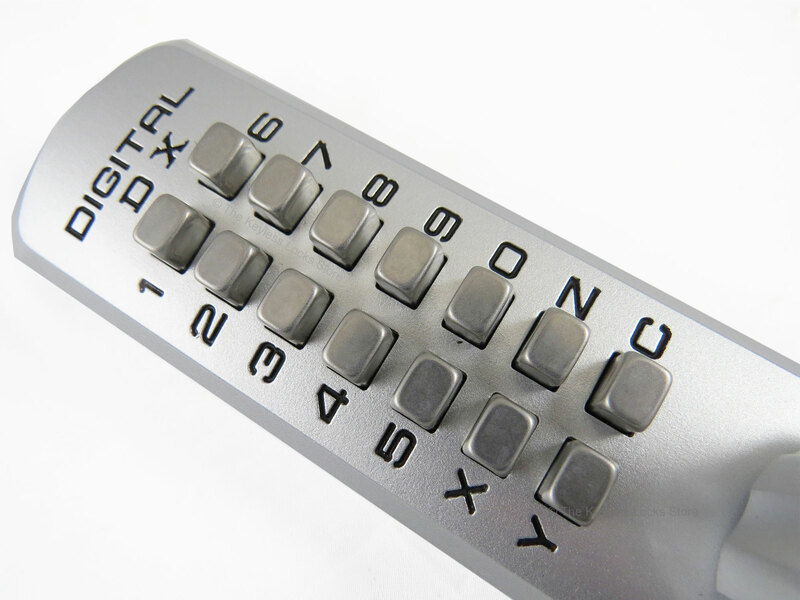 Door knob keypad has an over-sized knob. 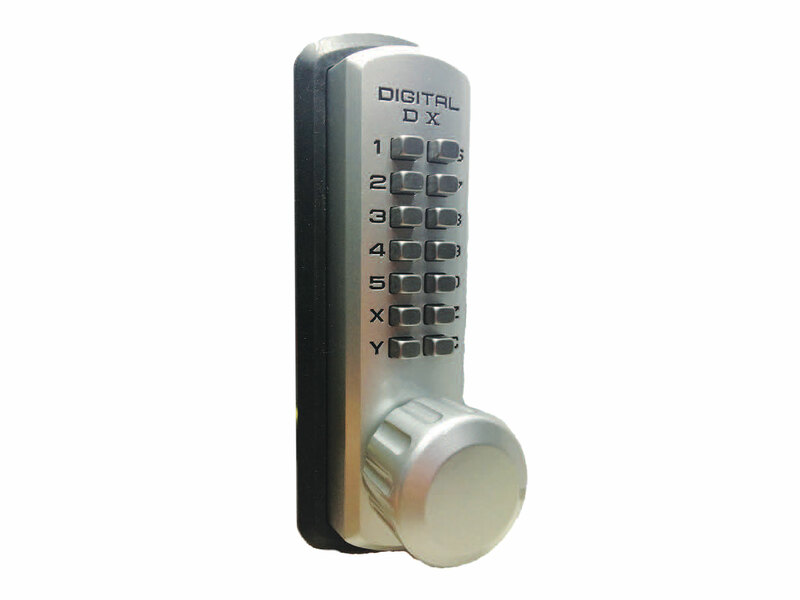 To install this lock underneath an existing deadbolt, allow at least 4 inches from the bottom of the existing deadbolt to the top of the large hole for this lock. 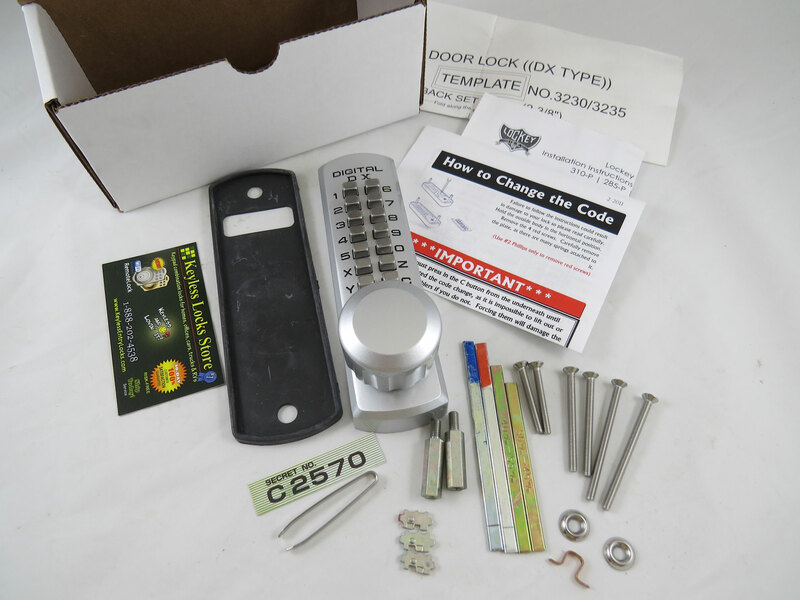 To install this lock above an existing deadbolt, allow at least 4 inches from the bottom of the existing deadbolt to the top of the large hole for this lock.